Read the stories that were in the January edition of The Big Thrill. 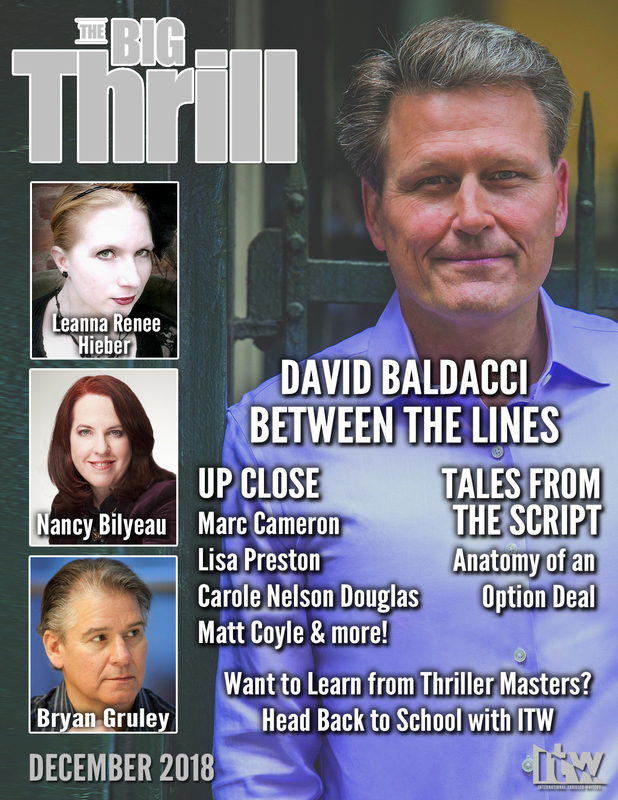 After more than 40 published books, bestselling author David Baldacci shares how he keeps his writing razor sharp in an engaging interview with Josie Brown. Authors Nancy Bilyeau, Marc Cameron, and Bryan Gruley give insight into their hot new releases, and Riley Sager delves into the anatomy of an option deal in the latest April Snellings’ Tales from the Script column. Plus, learn how YOU can learn from the thriller masters with ITW’s upcoming Online Career School. All this and much more in the December issue of The Big Thrill. 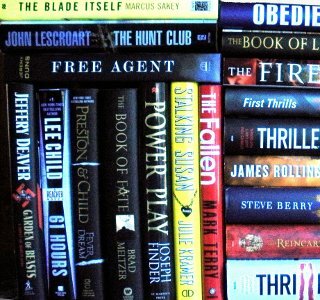 The latest thrillers from Peter James, Andrew Grant, John Lescroart, James Rollins, J. H. Bográn, Taylor Stevens, Samuel W. Gailey, Mark Alpert, Eric Beetner, Terry Shames, Martin Jay Weiss, Simon Maltman, Matthew Quirk, R. Barri Flowers, Robert E. Kearns, Mark Pryor, J. T. Ellison, Cathi Stoler, Aimee Hix, L. A. Starks and many more! CLICK HERE to learn more about ITW’s inaugural Online Career School! Congratulations to Mike Z. and Dee D. for winning November’s New The Big Thrill Book Giveaway! 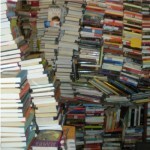 Mike and Dee will each receive 10 signed thrillers from ITW members! You could be December’s winner. On December 7th we will choose 2 more lucky winners to receive 10 signed books each.